NASA's Mars Exploration Rover Spirit took the images that make up this mosaic with its microscopic imager on sol 82. The mosaic reveals the drilled surface of the target called "New York" on the rock dubbed "Mazatzal." The rock abrasion tool ground for 3 hours and 45 minutes to create this 3.8 millimeter-deep (0.15 inch) hole. The exposed area is 4.5 centimeters (1.8 inches) in diameter. Mazatzal was an interesting rock to grind because it has a lighter tone than the previously ground rocks "Adirondack" and "Humphrey," and because it looks different from its surrounding environment. Scientists hypothesized that Mazatzal's surface might be covered with a rind of weathered material. They drilled through this very top layer to reveal the underlying rock. 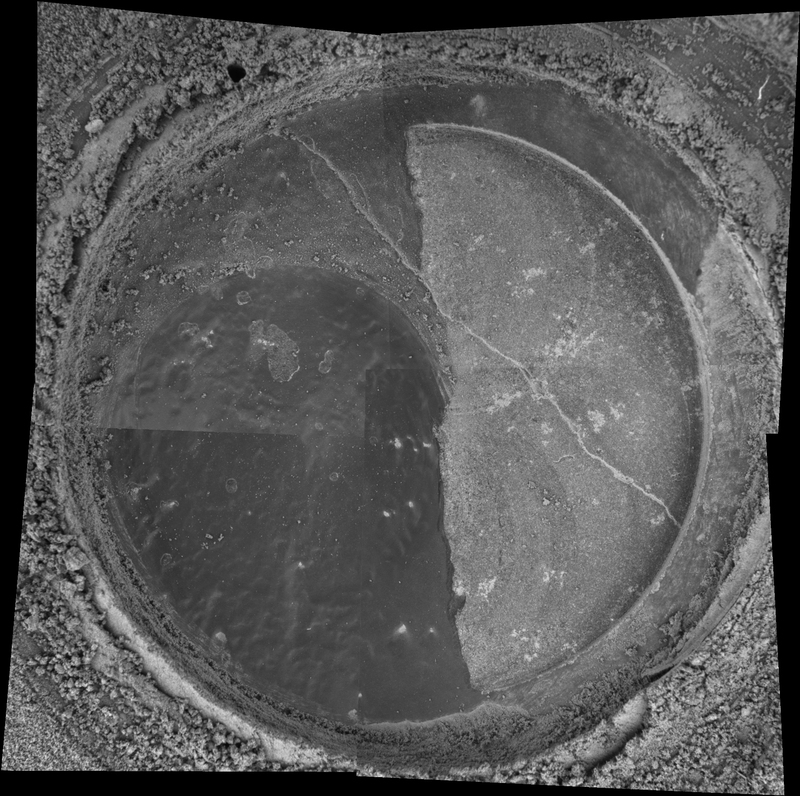 Because Mazatzal's surface was not even, the left half of the rock was penetrated more deeply than the right. 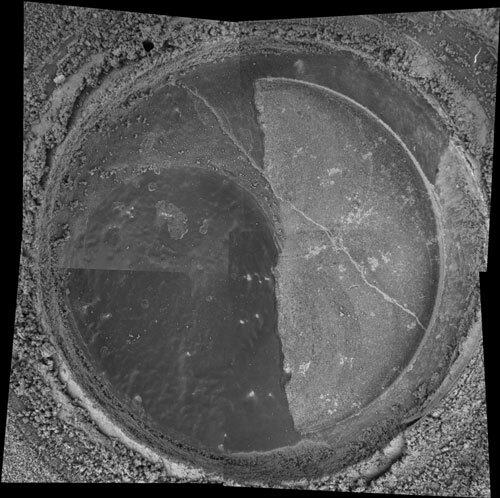 As can be seen in this image, the right, darker portion of the rock is still covered by the rind material. Spirit completed a second grind at this location at a different angle to remove the remaining veneer from the right side and create an even deeper hole. Images of this second grind will be sent back to Earth in the next sol or two.